Reaching heat five of The Chivas Masters UK competition took us to Manchester to meet four local bartenders, two from Liverpool and one from Wrexham – all ready to show off their cocktail crafting skills in the laid-back surroundings of Under New Management (formerly known as The Corridor). The atmosphere, however, was anything but laid-back. How could it be? Our seven contestants were fighting it out to get to the London final on the 3rd June. As in all the heats the bartenders had to showcase their skills by reinterpreting four very different Chivas cocktails, from The Classic Age, The Post-War Boom, The Disco Years and The Age of Revivalism. We were treated to classic cocktails with a twist, stories of Winston Churchill, farmyard serves, a toy car as ingredient and some very, very good drinks. Plying his trade at Under New Management, Adam Binnersley was on home turf to kick things off. He stated he wouldn’t be doing any fancy serves, instead just carefully creating cocktails that reflected the four key periods, allowing the superior taste of Chivas 12 to speak for itself. 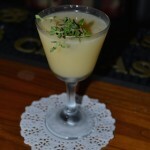 A typically example of this was his drink for The Age of Revivalism, which cleverly took inspiration from the modern classic by Salvatore Calabrese, the Breakfast Martini, which Binnersley mixed in delicious fashion as his own Royal Breakfast (Chivas, lemon curd, lemon juice and thyme). In stark contrast came Jules Van Dyke from Voodoo Moon in Wrexham who wholeheartedly embraced theatrical serves to very good effect. All four of his drinks looked like miniature art installations: from the vintage teapot used for his Chivas Blazer in The Classic Age, to the reproduced newspaper front page for The Post-War Boom. That wasn’t all. For his cocktail for The Disco Years he added echoes of Studio 54 to the glass with edible glitter while a hip flask of homemade soup was chosen to accompany MacGregors Regal Walk in The Age of Revivalism. But it wasn’t just about looks, he delivered on the taste front too. 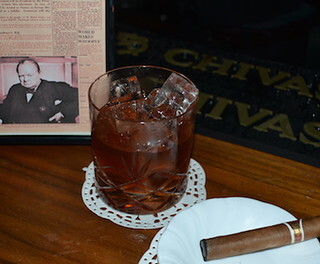 Our stand out cocktail was The Chancellor and the Bulldog for The Post-War Boom (Chivas, Tawny Port, Noilly Prat, chocolate bitters and homemade Romeo Y Juileta cigar syrup). Inspired by Winston Churchill the richly satisfying ingredients were served in a glass gently flavoured with smoke from a Romeo Y Juileta cigar. Third up was Andy Knapper from local bar The Liquor Store who twisted recipes from the specified eras for all four of his drinks. 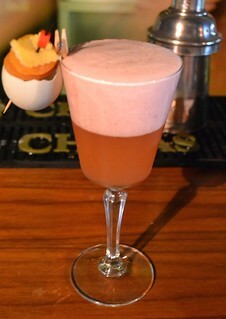 This particularly came into its own in his The Post-War Boom cocktail, the Chivas Negoni (Chivas, Campari and Carpano Antica Formula). 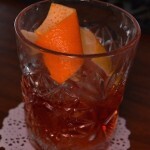 A big drink that would please both Chivas devotees and Negroni fans alike. Marking the halfway stage was another Manchester local, AmirJavaid from Épernay Champagne and Cocktail Bar. Like Andy, Amir also favoured simple twists on his drinks. 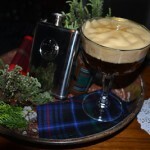 He also showed a preference for homemade ingredients such as the smoked chicory syrup he showed off well in his Sazerac-style drink representing The Classic Age, Regal Classic (Chivas, Cherry Heering, smoked chicory syrup and an absinthe rinse). Biggy Bigg-Wither also from The Liquor Store put a very personal mark on his presentation. Going full-on Scottish with a tartan hat and a fitting soundtrack by The Proclaimers, he also had a novel interpretation of ingredients. For The Classic Age, he went with a Flip-style drink, Chivalry Ain’t Dead (Chivas, Cherry Heering, sugar syrup, double cream and a whole egg). Traditionally made with a red-hot iron to get it foaming Biggy instead chose to add an extra ‘ingredient’, a toy hot rod car (geddit?). 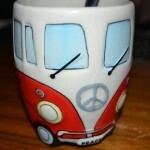 Although the impact on the drink of the hot rod was debatable it was a very tasty flip. 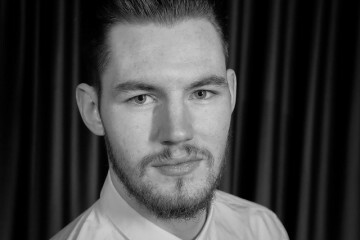 The final two presentations represented Liverpool, starting with Joe Wild from Jenny’s Bar. Joe clearly liked to make eye-catching statements like a VoltswagenTtiki mug for his Chivas Wallbanger in The Disco Years. But the big one came with The Post-War Boom. Donning an apron reminiscent of a 1940s housewife and flipping on the theme tune of one-time British TV comedy favourite Last of the Summer Wine, he set about making his Let’s All Be Rational (goose fat washed Chivas, gomme and port). 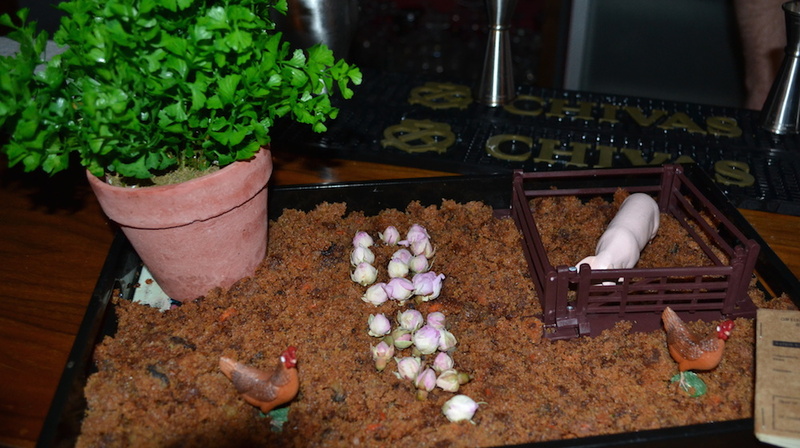 He served the drink in a miniature and very elaborate farmyard to represent home grown ingredients popular during the period but substituting soil with crumbled carrot cake (see above). And if that wasn’t enough, all of the judges were also issued with their very own ration book containing the cocktail recipe. Rounding things up came Joe’s Liverpool stablemate, Jake Murphy from 81 Liverpool Trading Dock. Only eight months into his bartending career and just 20-years old he produced a performance that belied both of these facts. Confident and engaging he delivered a stream of period and Chivas knowledge. But it was the drinks that were the stars. Each was a very simple serve, the only one offering anything unusual visually being The Age of Revivalism creation Knight And A Narrow Place which came with a duck egg and apricot garnish. Every drink combined traditional, high quality ingredients alongside some delicious homemade ones. As well as a very competent technique he showed a particularly strong understanding of flavour and balance. A great example being The Classic Age, King Street (Chivas 12, homemade vanilla and absinthe gomme, orange zest, star anise and cinnamon stick). 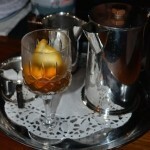 The drink was full of flavour, had a rich mouthfeel and a lingering and most agreeable finish. The bartenders really went for it and while it was incredibly close amongst the top three, the judges were unanimous in naming Jake Murphy from 81 Liverpool Trading Dock as the winner. Jules Van Dyke from Voodoo Moon in Wrexham edged second. 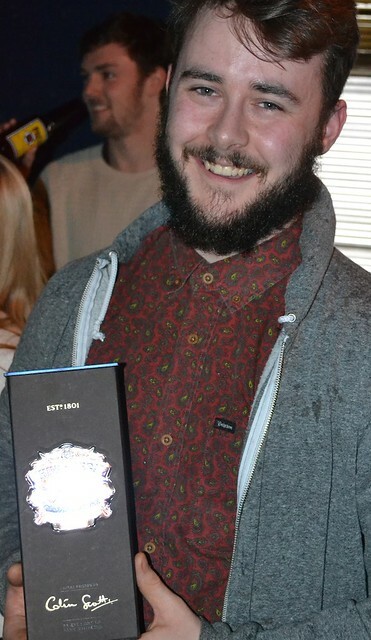 And Adam Binnersley from Under New Management took a very creditable third place. 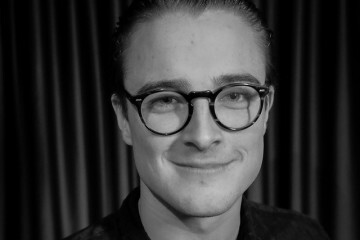 Judge Phil Huckle, Brand Ambassador Pernod Ricard UK Prestige, summed it up by saying, “It was a really, really high standard, so much so that we decided to put two people through to the final. Jake’s passion and creativity were absolutely incredible. All three judges agreed on him as the overall winner. While Jules was very creative, making his own syrups and bitters. An honourable mention also has to go to Adam who finished third”. For us it was a delight to be able to put two great bartenders through, we loved Jules’s detail and thought Jake’s drinks were outstanding. Stir all ingredients over ice and serve straight up in a small glass. Stir all ingredients over ice and strain into a chilled wine glass. Shake all ingredients over ice and strain into a champagne flute. Garnish with a chocolate cover mint leaf. Shake all ingredients over ice, strain into a wine glass and top with foam. Garnish with duck egg and apricots. Warm all ingredients and pour into a wine glass. Garnish with an orange twist. 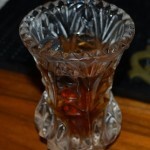 Stir all ingredients over ice and strain into a rocks glass smoked with a Romeo Y Julieta cigar. Shake all ingredients over ice and strain into a coupe rimmed with edible glitter. Serve with a shot of Chivas 12 on the side. Stir all ingredients over ice, strain into a coupe glass, top with foam and spray with edible gold mist. Serve with hip flask of oxtail soup.